Every since the great Canned Pumpkin Shortage of 2010 began to wind down, I’ve been keen to find as many ways as possible to use the canned pumpkin I had hoarded from last fall. 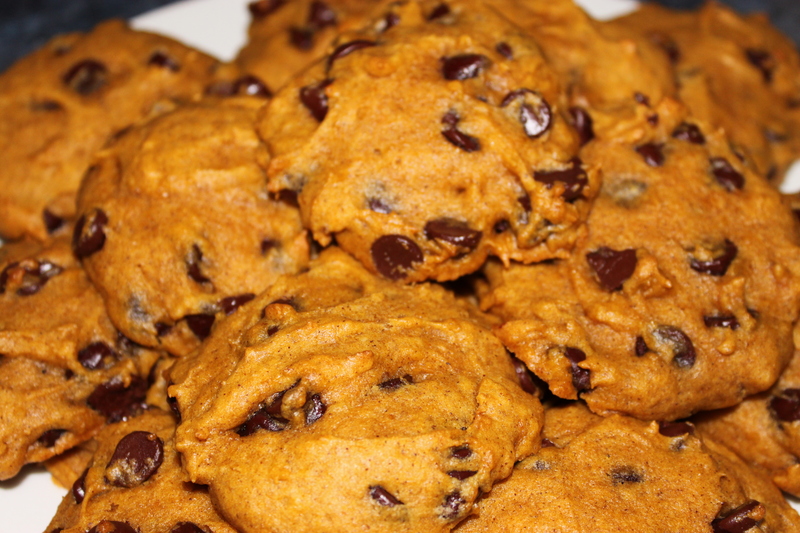 I’d especially been craving some pumpkin chocolate chip cookies, and I had found a number of recipes that looked good and worthy of a try. 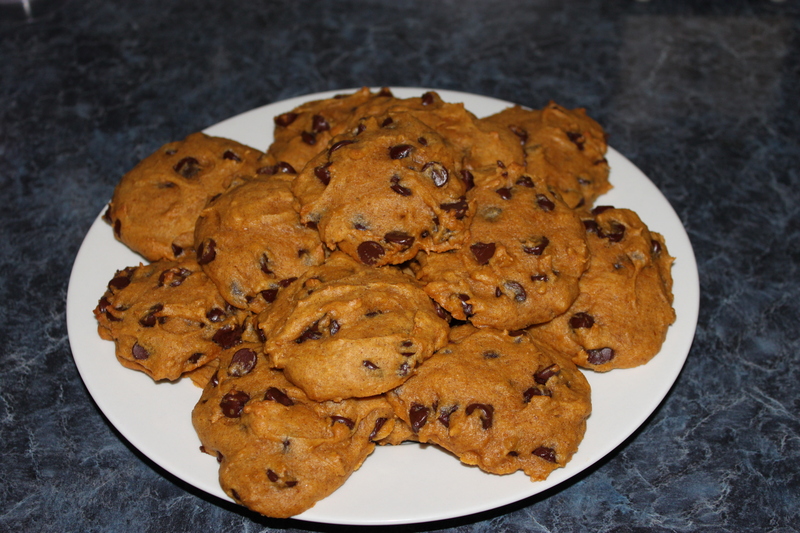 With the holiday today, I had some extra time to bake, so here are two different recipes for pumpkin chocolate chip cookies. 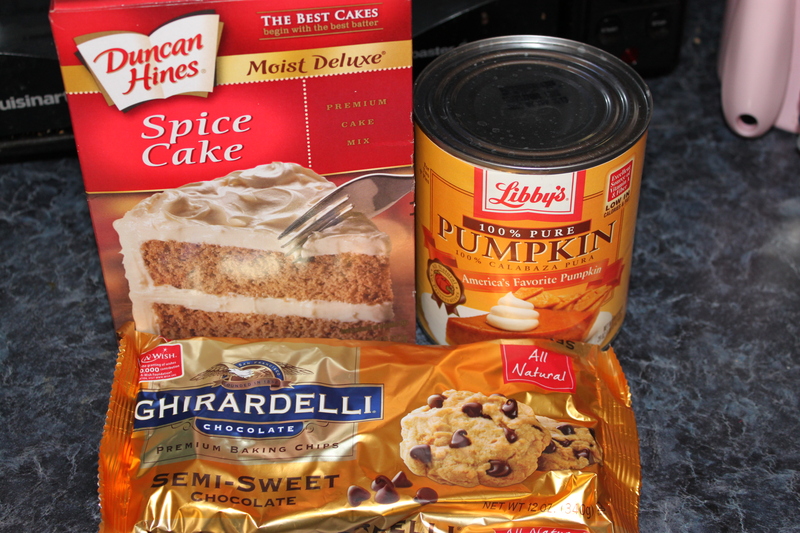 Mix together one spice cake mix, one 15-oz can of pumpkin (the smaller size), and two cups of chocolate chips. 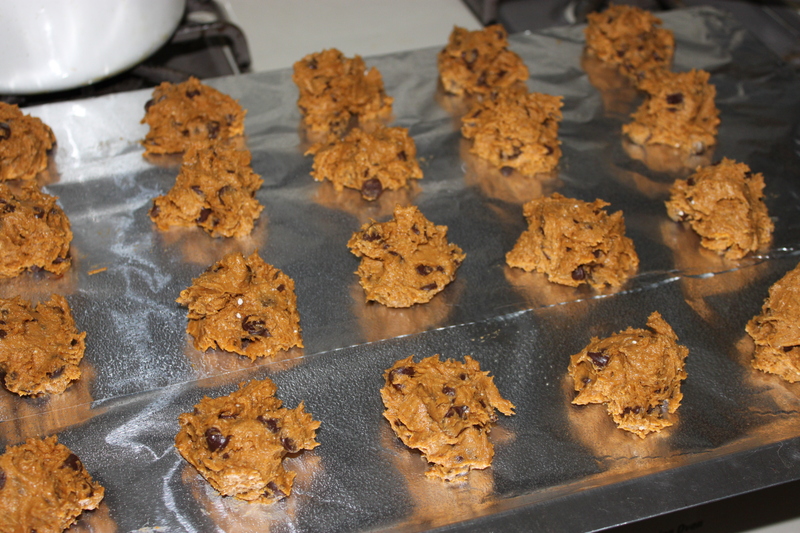 Scoop by spoonfuls onto a greased cookie sheet, and bake in a 350-degree oven for 12-15 minutes. 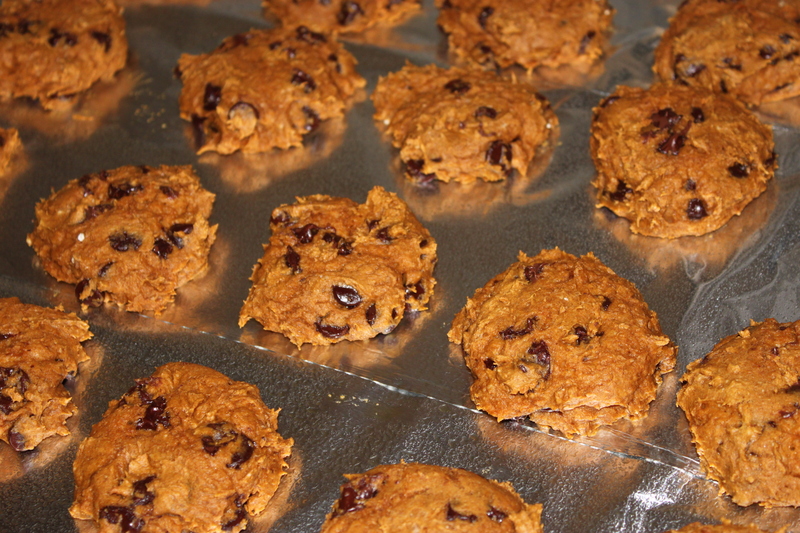 Smack the cookie sheet onto the counter a few times to keep your cookies from becoming too puffy. 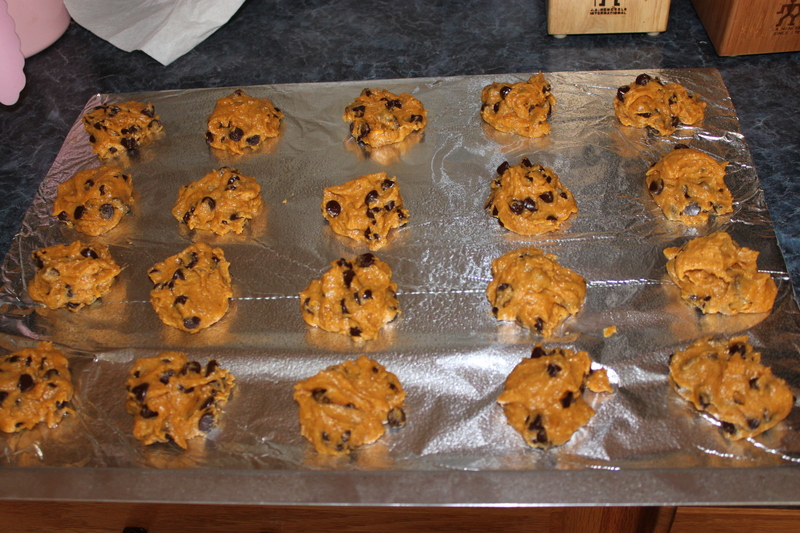 Not the prettiest cookies ever, eh? A little on the rustic side for my liking. Combine pumpkin, sugar, vegetable oil, and egg, then add flour, baking powder, ground cinnamon, and salt. Mix the baking soda with the milk and stir in. Add vanilla, chocolate chips and nuts (I only added nuts to half). 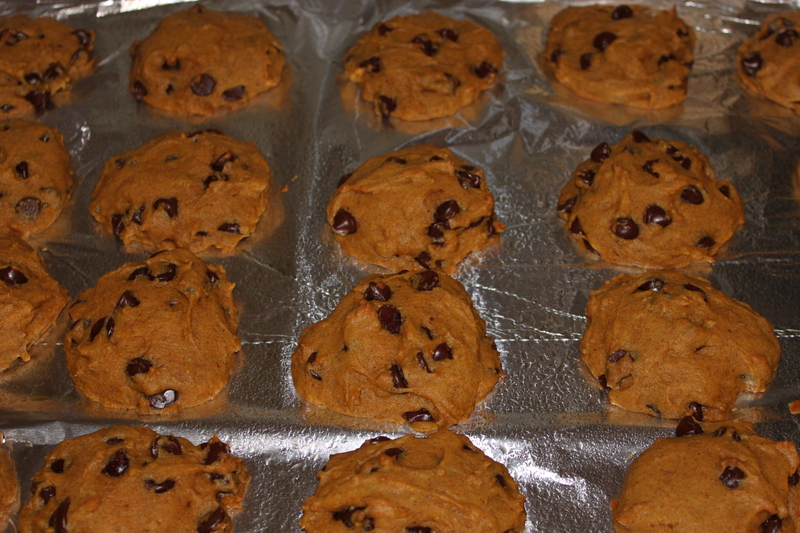 Drop by spoonfuls on greased cookie sheet and bake at 360 degrees for about 12 minutes or until lightly brown and firm. They don’t expand very much so it’s okay to scoop them out close together. I liked the way these turned out, appearance wise, much better. Yes, they required a little more effort than the first batch, but it was worth it. UPDATE: By almost unanimous vote, the cake mix cookies are deemed the winner – and they were so much easier! The second recipe does have the improved appearance going for it but I guess looks aren’t everything!! These are awesome!!! I am sending them to my sister in Afganistan…I think they will hold up well to a week and a half in the mail….fingers crossed. I would love to try these but I was just wondering with the first recipe did you add the ingredients directed on the cake mix? 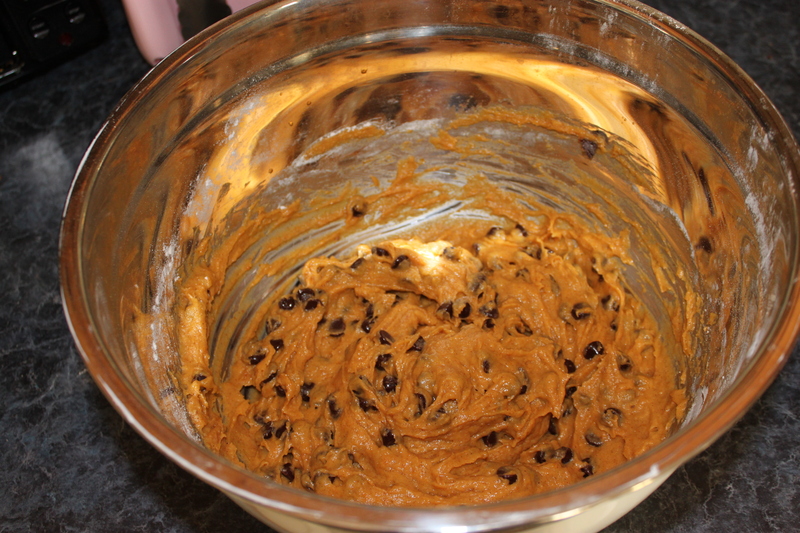 Or is it just the dry cake mix, pumpkin and chocolate chips that make up the batter? 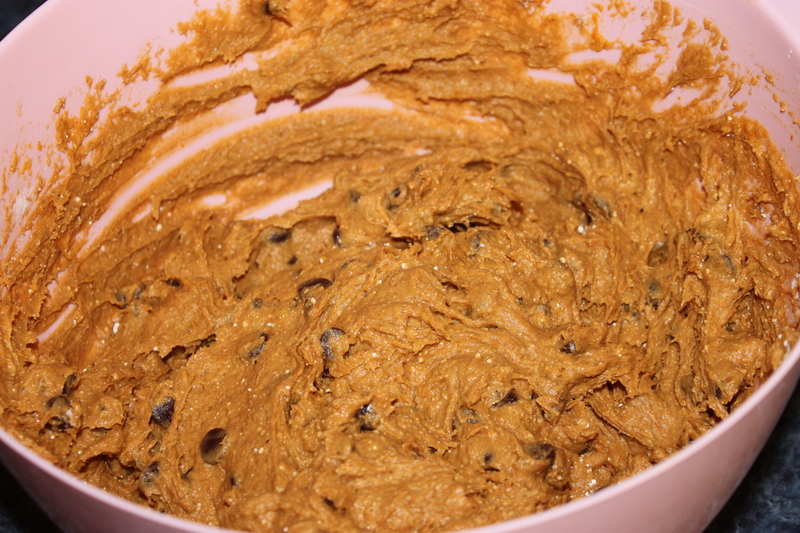 Just the dry cake mix – three ingredients total! Don’t add egg, oil, or water. That’s what I thought but I just wanted to be sure. I look forward to trying this recipe out. They look so yummy and not to mention so easy to do! Fantastic! I’m making the first recipe tonight. Did you mean a 15oz can of pumpkin? That’s the smaller of the two, the other one is 30oz. I still went ahead and put in 19oz just as you stated, I hope that was right. Kinda Made 1 & 12 the Recipe as a Cookie Bar. Came Out Moist & Delicious. Used My Jelly Roll Pan. Praying Always for God’s World. Jesus Come Soon we Pray.